The complete line is in perfect conditioning ,dismantled and packed for transport. 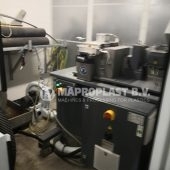 The line can be inspected in our warehouse in Waalwijk,Holland. TECHNICAL FEATURES High overall process stability Advanced energy efficiency due to the use of the latest technology in drive units Superior and consistent output rates due to improved transfer of material from the integrated shredder into the extruder Small footprint with the compact design Effortless operation via standard 12’’ touch screen operator terminal Simple shredder access for easier cleanouts and faster material changeovers Streamlined adjustment of stationary shredder-knives Full automation featuring “single button” start-ups and shut-downs. 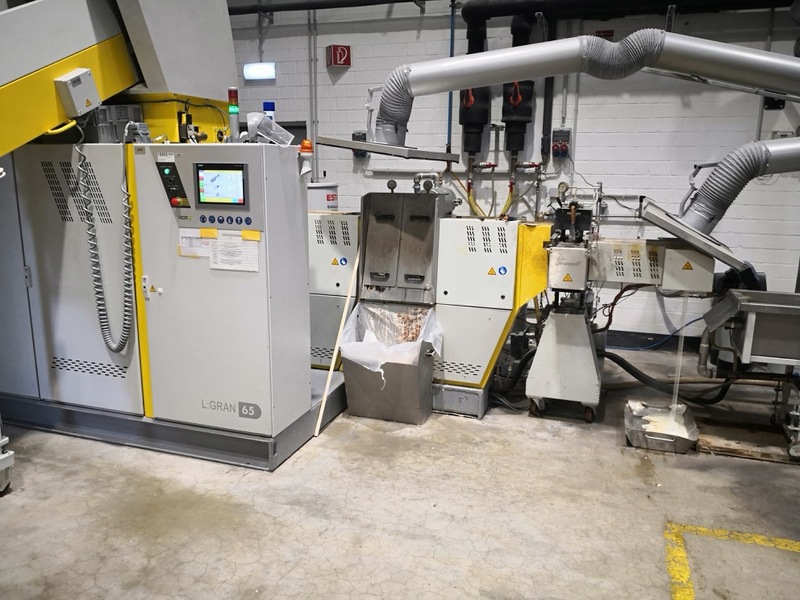 The heart of the L:GRAN recycling line is the patented cutter-feeder-extruder combination, that allows three working steps at once without the necessity of preliminary size reduction. Adapted from NGR’s well proven “ONE-STEP” recycling technology, the new L:GRAN recycling system has been developed as a so-called “light-version” of the highly successful S:GRAN. 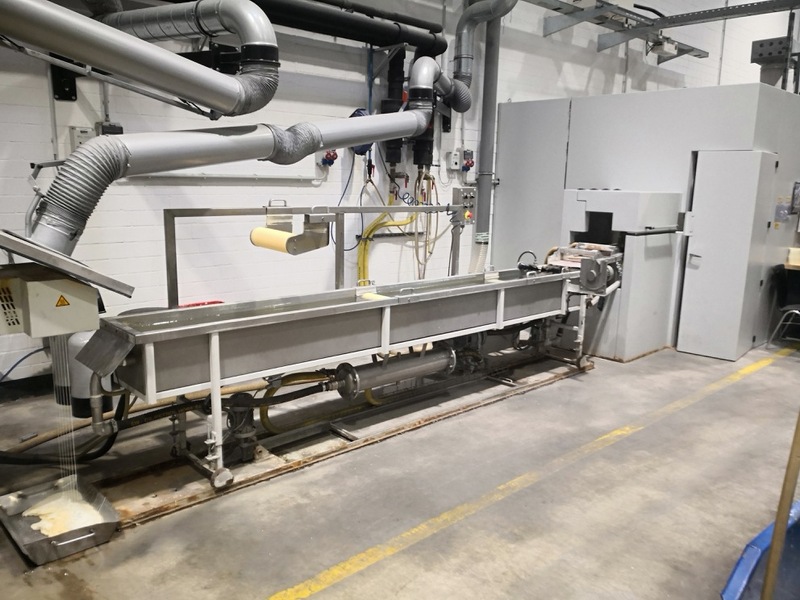 Equipped with a smaller shredder than the S:GRAN 65 and 75, but having the same extruder, the machine is very cost-efficient for in-line and off-line applications, where less cutting performance is required. 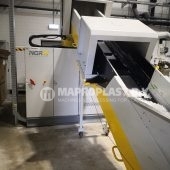 Due to the gentle cutting and extrusion processes, which ensures minimum degradation of the material, NGR recycling high quality pellets are guaranteed. The new L:GRAN machines have particularly low carbon footprint and therefore are very gentle on resources. 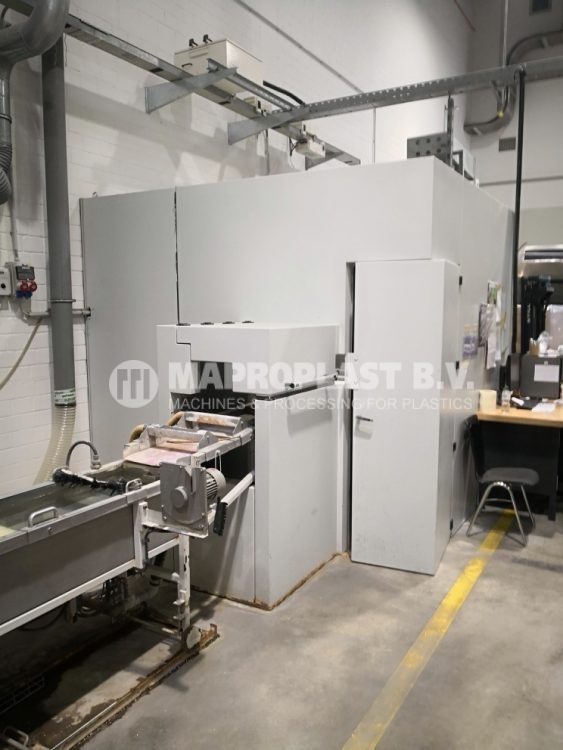 Low power consumption and small footprint, in combination with low operating costs and low manpower requirement, with a pellet output rates of the L:GRAN 75 of up to 230 kg/h [500 lbs/hr] make them highly economically friendly. With the “dump and run” mode, machines can be operated with intermittent operator attention and still get consistent high output rates. Fully implemented, e.g. 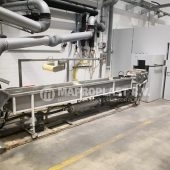 into an automated cast film production plant, edge trims are blown into the extruder feeding zone by means of an air separator. 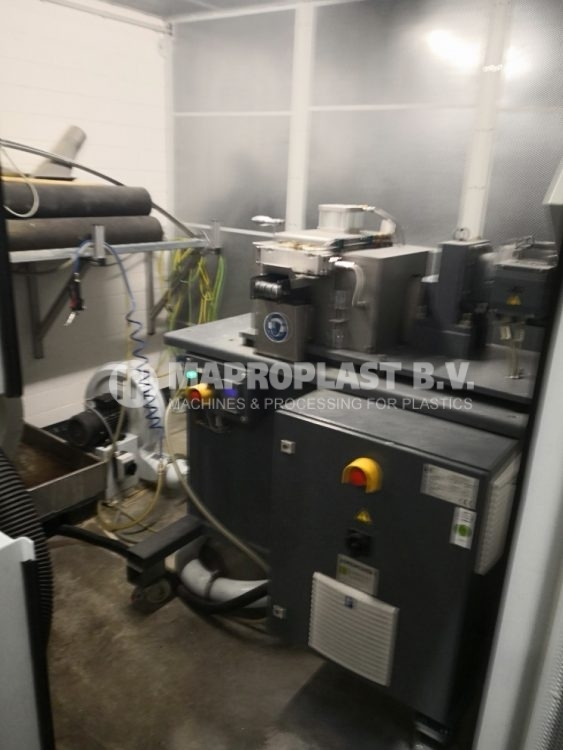 L:GRANs are also able to convert film rolls, which can be fed into the system using a roller intake or to reprocess loose material, transported on the conveyor belt. 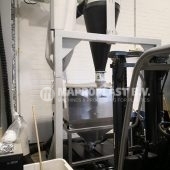 Of course, all general material feeding systems can be used simultaneously. For a wide range of applications the newly enhanced L:GRAN series has a high overall process stability and is very user friendly. The standard 12” touch screen operator terminal secures easy operation, and due to the use of the latest technology in drive units, the machine is working reliably and even more quietly than before. 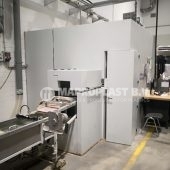 The shredder is easily accessible for faster cleanouts and faster material changeovers. The recycling lines are fully automated, now featuring “single button” start-ups and shut-downs, i.e. immediate restarts after sudden unintended plant stops (e.g. 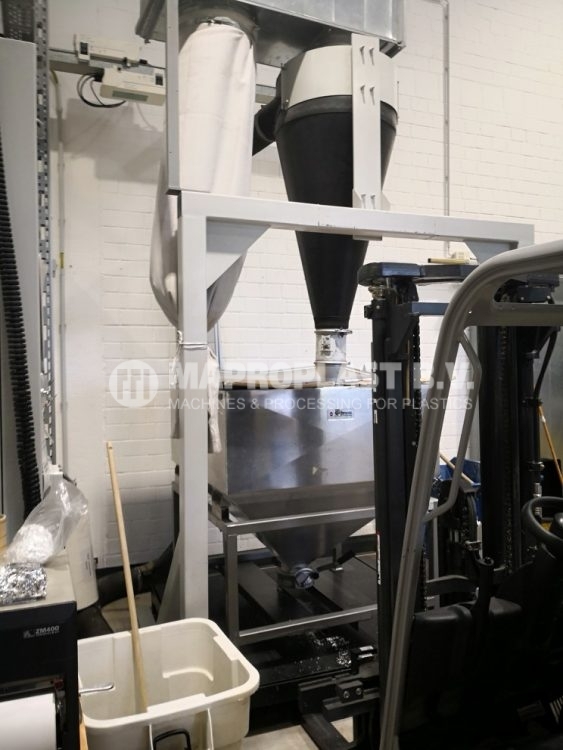 emergency stops) with filled hopper and extruder screw are possible without any problems. All these modifications and enhancements are reflected in the new, modern design of the recycling machine. Visitors of the exhibition PLAST 2012 in Milano will have the opportunity to look and see the L:GRAN 65 live in operation. NGR specialists will be in place to answer all questions. 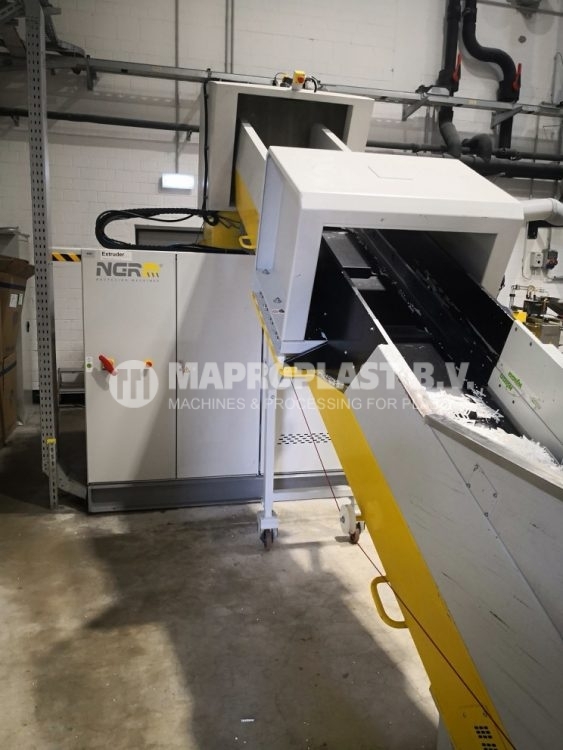 SKU: 10.6.001 Categories: Extrusion lines, Recycling Tags: extrusion machine, L-GRAN 65, NGR, recycling, Extruder, extrusion line, Granulator, Line, single screw, used extruder, used plastic machine Brand: NGR.